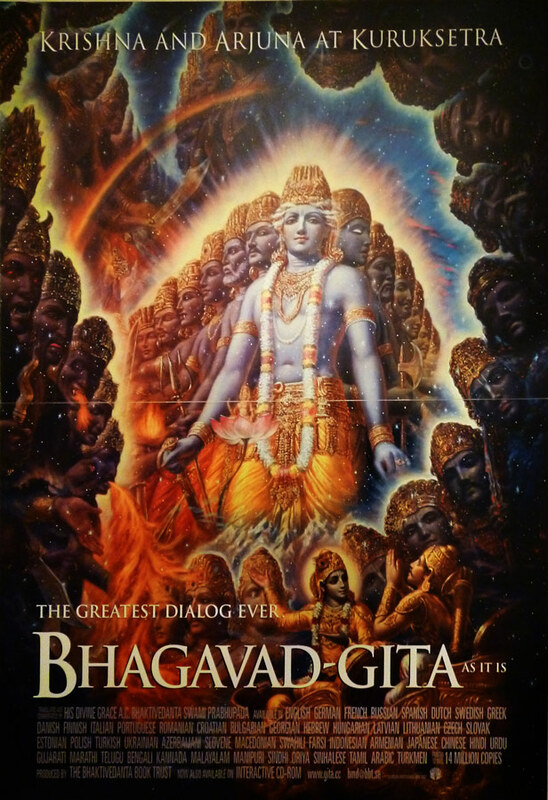 I came across this poster in Krishna's Cuisine, Colosseum in Majorstuen. Couldn't stop looking at it while munching away at my Indian vegetarian dinner because it was so fascinating. The fight between the dark and light forces, and how Krishna in spirit is so much bigger with an army behind him. It is a beautifully illustrated painting by a very skilled artist. Wonderful imagination and expression of the spirits that rage within us. The blue skin of Krishna. I wonder if he really had blue skin? The true master of the universe really parts the darkness to bring the light. Can't stop feeling amazed by this. Bhagavad Geeta notes in Hindi bhagvadgeetanotes.blogspot.com.